Sharing our installations, case studies and knowledge. One of the main issues with the development of the biochar market in North America is the awareness of the general public on the benefits of biochar. 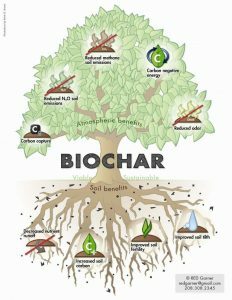 The attached link is a class project that can be executed in academic institutions to help students understand the value of biochar and its characteristics. IRSI believes that by exposing younger generations to the benefits of biochar, pyrolysis and similar technologies/processes we will be taking a significant step towards shifting the paradigm in the western world for waste management and agricultural practices. In the second half of the 19th century crude oil was extracted from the ground for the first time using an oil drill in Titusville, Pennsylvania. The first widely demanded commercial application for crude oil was kerosene. This kerosene burned longer and brighter than the traditional whale oil for lighting. Petroleum or crude oil was also used early on as a medical application for a variety of ailments. Initially the volume of petroleum required for medical applications was extremely limited and therefore did not require large production volumes. However with the advent of kerosene lighting this changed dramatically and demand for kerosene drove the technological advances that lead to the drills capable of producing large quantities of petroleum or crude oil. As more volume of petroleum was extracted from the ground new and diverse applications for crude oil followed. Today crude oil is the base material for everything from gasoline to plastic telephones to pharmaceuticals to fertilizers; our world is essentially based on petroleum products and their derivatives. Through the robust development of technology and a continued drive to maximize profit by oil producers new uses for the product were continually being developed. Petroleum products have a high concentration of carbon and can be refined and distilled into a wide variety of products with a wide range of applications. Crude oil’s primary component is carbon and the variety of materials produced from crude oil are consistent and reliable, however the crude oil itself is not consistent. Biochar shares these qualities with crude oil. 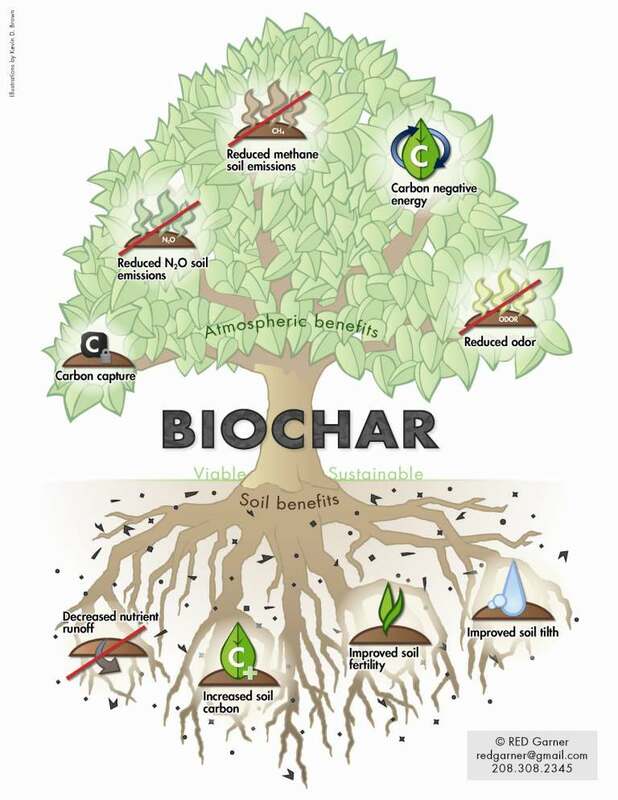 Biochar is primarily carbon based and has a wide range of characteristics. Not all biochar is created equal and neither is crude oil. Similar to crude oil in the 19th century, biochar in the 21st century is on the cusp of recognition as a widely useful and diverse component for a litany of commercial applications. Biochar can be used, much like crude oil, in everything from fertilizers to food additives to energy sources to graphene production. The distinct difference between biochar and crude oil is that biochar can be produced sustainably and can provide renewable energy through the course of its production. With global warming, population growth, and a slowing global economy all putting pressure on current paradigms in economic, societal and environmental systems it is paramount that humanity finds new solutions to age old problems. Biochar is at the forefront of this shift and just like crude oil in the late 19th century, biochar needs to begin to be produced in large, commercial volumes to expand the already stellar list of applications for it. IRSI’s Ulysses system is the first continuous feed system that has the capacity to produce large commercial volumes of biochar. It is the firm conviction of the IRSI team that as these large volumes of biochar become available in the market place new and innovative uses for it will follow. To quote John D. Rockefeller “if you want to succeed you should strike out on new paths, rather than travel the worn paths of accepted success.” This embodies a societal directive as much as an individual prerogative. Biochar is a new path that can lead to great success for future generations. IRSI will continue to lead the way in the development of new paths for business, environment, technology, and innovation. Join us and be a part of a new paradigm shift! IRSI would like to thank the Alberta CARE organization for the opportunity to present at their conference in Lethbridge, Alberta on February 25th of last week. The conference was informative and allowed for a terrific setting for networking and discussions around recycling programs throughout Alberta. Alberta CARE has a large number of members including; municipalities, consultants, industry members, aboriginal groups, and vendors. IRSI is proud to be involved with Alberta CARE and believes that their goals of coordinating community level recycling programs, facilitating the establishment of partnerships for the implementation of recycling and waste management strategies, promoting recycling as part of the day-to-day lifestyle of Albertans, and promoting awareness of new recycling initiatives are fundamental to the successful revamping of the waste management industry and practices in Alberta. IRSI is excited to continue involvement with Alberta Care and looks forward to incorporating the Ulysses system into new and burgeoning waste management practices and initiatives! For more information please visit the Alberta CARE website attached below.